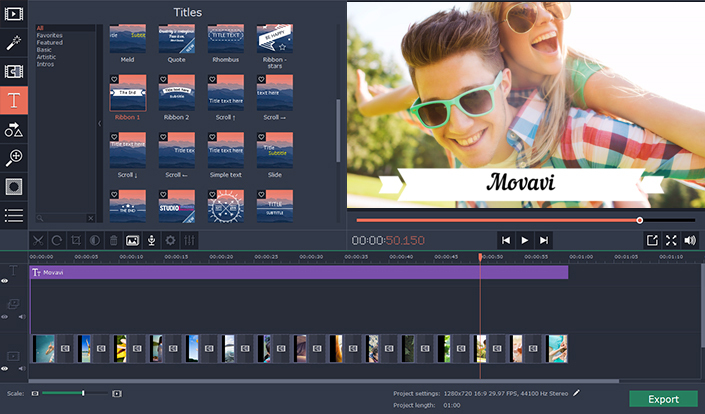 Movavi Video Editor is a powerful video software that lets you edit your videos very easily. It has many amazing tools to edit any video format available in the market. This excellent program can not only edit your videos, but also record video directly from your webcam, split a movie into clips, or extract and edit the audio source of a video. You will be able to make movies with special effects, split videos into multiple clips or join clips into a single video. You can add filters and titles to the videos. You can choose to adjust colors manually or use the Magic Enhance option to automatically fix the brightness, contrast, and saturation of the video or photo. Movavi is also a great split screen video maker that lets you combine two videos on your monitor to create an amazing split-screen movie. The visual interface of Movavi is very well designed and very intuitive and friendly. It is available in many languages. You will get used to the software very quickly. The video converter supports the most popular video formats and has a built-in video player that lets you preview and watch the video while you are editing and working on it. You can browse the movie in detail and navigate frame by frame. Movavi has some powerful tools that let you crop the image, add watermarks to the video or save a specific frame. If you like adding videos to your WordPress posts, Movavi is perfect to edit and prepare the videos for your WordPress blog. It is a great tool to create and edit your original videos and have them ready for upload to sites like YouTube, Vimeo, Dailymotion or your own WordPress blog. You can add videos directly from your computer and then upload them directly to YouTube using the export window. With Movavi you can edit HD Videos, Full HD Videos, and even Ultra HD Videos. Ultra HD is also known as 4K and is becoming very popular lately. 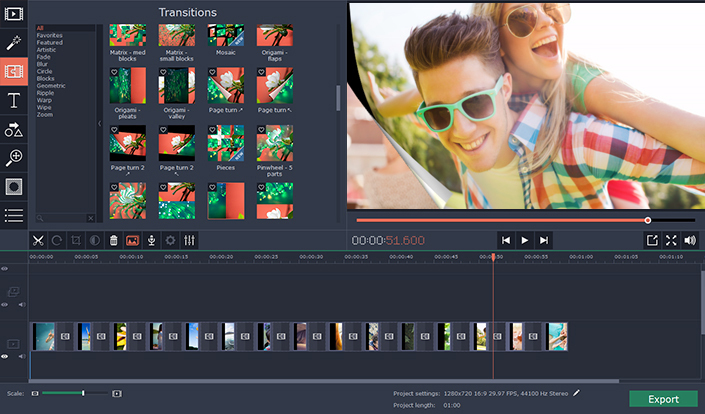 With Movavi Video Editor you can easily create slideshows with music and transitions. The software has also an excellent video stabilization tool to remove camera shake from your video. 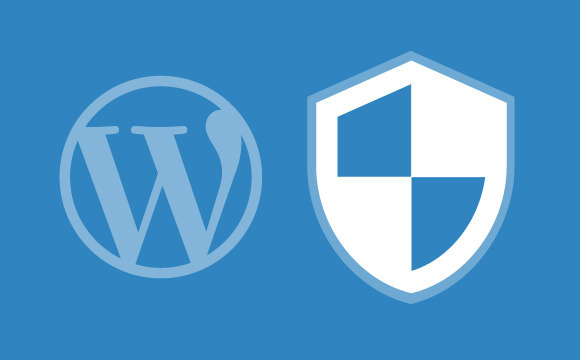 WordPress 4.7.5 Security Release is now available. This is an update for all previous versions and we strongly encourage you to update your sites immediately. A Cross Site Request Forgery (CRSF) vulnerability was discovered in the filesystem credentials dialog. In addition to the security issues above, WordPress 4.7.5 contains 3 maintenance fixes to the 4.7 release series. Download WordPress 4.7.5 or just enter your Dashboard and go to “Updates”, then simply click “Update Now.” Sites that support automatic background updates are already beginning to update to WordPress 4.7.5. These days, marketing is highly complicated. This is contrast to several decades ago when a good gut feel was accepted standard marketing practice. The more accurate your gut feeling was, the bigger your annual bonus would be. Now, to come up with a winning marketing strategy, it comes down precise analysis of data. But, in today’s age of big data where we have tools at our disposal that can collect an amazing amount of data from customers and potential customers, analyzing that data has become a science on its own. Just look at all the tools you need to work with in order to organize and compile your marketing data. If it’s an email campaign, you need to work with an email marketing tool. If you use Google Adwords, you need an Adwords account. For web analytics, you have Google Analytics and a host of other commercial solutions. Business dashboards can assist with tracking social media marketing campaigns. Get it? There are so many different tools to track different facets of your marketing campaign. You could spend a whole day just logging into different accounts to check reports and gain insights. To avoid this, it is best to use an integrated marketing dashboard that consolidates all your metrics into one dashboard. There are many commercial solutions that do this and you can even build your own custom solution. But, even doing this is only solving half the problem. To maximize the benefits of your marketing dashboard, you need to first organize it. You need to decide what should go into it and what shouldn’t. The following are five steps you should follow in order to build a powerful digital marketing dashboard. People process and communicate information differently. There are people who are good with words and completely terrible with numbers and vice versa. So consider who the audience will be. Identify the story that needs to be told and numbers needed to tell the story. 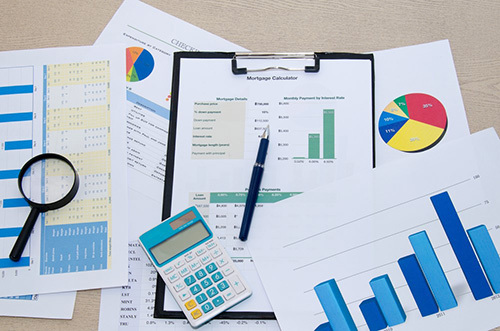 Decide on the type of reports needed, for example; an executive summary, an awareness report, an engagement report or even ROI report. Once you know what kind of reports are needed, the marketing dashboard will be much easier to organize. • What objectives does the marketing team want to meet? • What metrics demonstrate progress towards these objectives? • How is campaign success of failure measured? • How will the reports be enhanced by this metric? • Does the metric relate to a key business question? To get the entire picture of your marketing campaigns integrate all of your analytics accounts into one dashboard. As mentioned earlier, there are many commercial applications that already do this or you can hire a developer to have one custom built for you. Having all your marketing analytics, Google, social media, Mozetc in one place will save you a lot of time. The only heavy lifting you will do is at set-up but once you set it, you will be able get a big picture view of your entire marketing campaign. No more having to log into several different applications to see the analytics. One of the greatest strengths of marketing dashboards is that they are meant to be visually appealing. Graphs, charts, images and infographics are much easier to digest than rows of data on a spreadsheet. Everyone appreciates visuals so you can’t go wrong. Don’t build a static dashboard. Users should be able to select the data, filter it, sort it, arrange it and manipulate it as much as possible so that they can get further insights. The dashboard should come with this functionality built-in. For example, a user should be able to change the view from daily, to weekly, monthly or whatever other time period they want. Also, the marketing dashboard should be accessible using different types of hardware, that is, tablets, smartphones, computers and anything else that people are using on a large scale. Data analytics is integral to the success of businesses today. In the absence of analytics, it would be a herculean task deciphering what today’s discerning customers want and need, and the decision one needs to make in order to better utilize scarce marketing resources to meet business objectives. 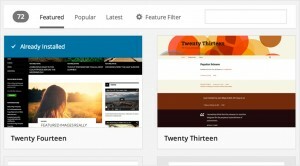 Version 4.5 of WordPress has been released. It is named “Coleman” in honor of jazz saxophonist Coleman Hawkins. As always it is available for download or update in your WordPress dashboard. New features in 4.5 help streamline your workflow, whether you’re writing or building your site. Do you enjoy using formatting shortcuts for lists and headings? Now they’re even more useful, with horizontal lines and code. One of the best ways to make money off your website is to use automation. By automation I mean use a process or a system that will generate money even while you are sleeping. Selling an e-book is one such example. You write it then upload it onto your website and put a system in place to manage transactions. Then even while you are away, even when you are not actively working on your website, people will purchase and download the book and the money will be deposited automatically into your bank account. As I said this is just one example. The most popular method of money making automation for websites is ads. So let me introduce you to Adverts, which is a brand new classifieds plugin for WordPress. This WordPress classified ads plugin is light weight and developer friendly. Building any kind of classifieds or business directory site has never been easier. This plugin is easily extendible with bundled modules. To do that just go to Wp­admin/Classifieds/Options panel, select the modules you want to use and build a unique website for yourself. Website, where you allow your visitors to post ads for free. They can register for an account and then you can grant them access to post ads using Adverts. They can either publish ads for free or you can charge them by PayPal or bank transfer or you can use a combination of both. Websites where only you—the administrator can publish ads. You will be shown the login page of WordPress dashboard. Enter the user name and password both as “user” and you will be logged in. Then you can use Adverts, play around with the settings, or do whatever you want to do with it and see how the changes take place in the preview. Thus you don’t even need to install the plugin on your WordPress website to try it out. Some of the important features of this plugin are discussed below. One click installation: I described above that you can use the demo version straight from their website. However if you want to install Adverts on your own WordPress website you can do that with just a one click install. Great support: Although the plugin is quite intuitive and easy to use, if at any time you face a problem, you can always contact their support system. You will get a reply within 24 hrs. Compatible with any WordPress theme: Unlike many other plugins, the Adverts plugin is designed to work and blend in smoothly with any kind of properly coded WordPress theme. SEO ready: Not only is this plugin compatible with all WordPress themes, it is also developed to work properly with all major WordPress SEO plugins. Go check out their website and use the free trial version of the plugin. I truly hope you won’t be disappointed. Then drop in a comment below letting me know what you think of Adverts. 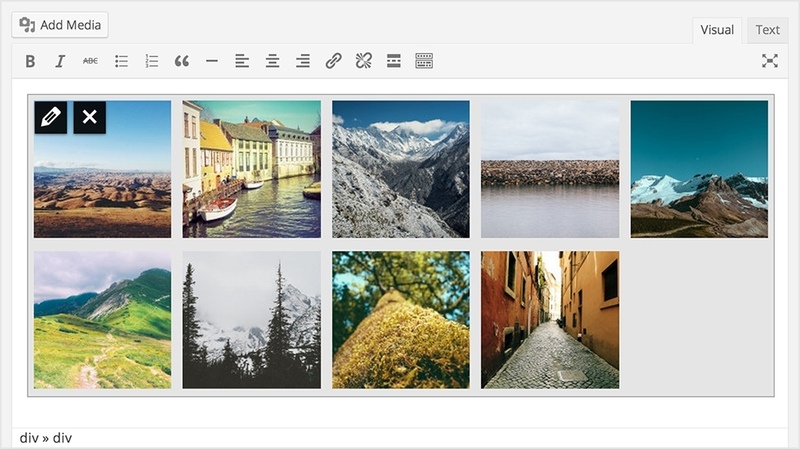 Media LibraryExplore your uploads in a beautiful, endless grid. A new details preview makes viewing and editing any amount of media in sequence a snap. You can embed videos from CollegeHumor, playlists from YouTube, and talks from TED. Check out all of the embeds that WordPress supports.